Cards with variations include base team. Variations feature players in different uniforms. Click here for a visual guide. Featuring 50 cards. Click here for a detailed guide. 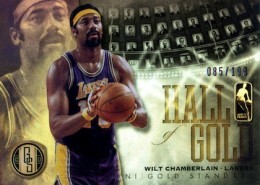 2012-13 Panini Gold Standard Basketball takes the golden theme and runs with it, creating one of the hobby's most distinct basketball card products. Back for its third year, every single-pack box delivers four autographs, memorabilia card and a metal card. 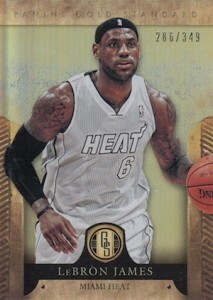 The 2012-13 Panini Gold Standard Basketball has a 305-card base set. 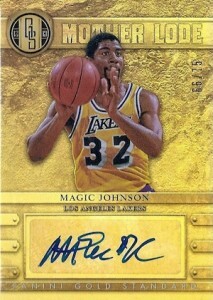 The set's 80 rookie cards come in the form of autographed jersey cards. Twenty-five variations show players on all the different teams they have played for in their careers. 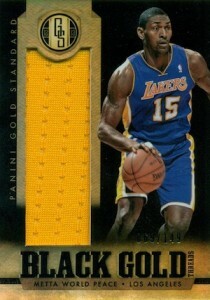 Besides regular cards, the base set has two parallels: Black and Platinum. 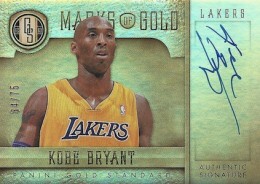 2012-13 Panini Gold Standard Basketball has four different autograph sets. Mother Lode spotlights some of basketball's biggest stars. 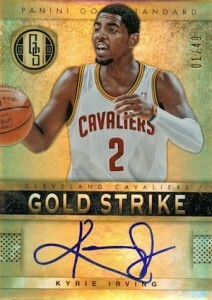 Gold Strike is centered more on the game's rising stars. 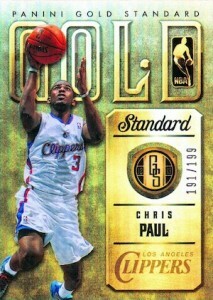 Bullion Brand has become one of the hobby's most popular game-used memorabilia sets. The cards feature complete tags from game-worn jerseys. Black Gold Threads also have bigger-than average jersey swatches. Rolling with the gold theme are one-of-one Solid Gold cards, which are made of 14kt gold. 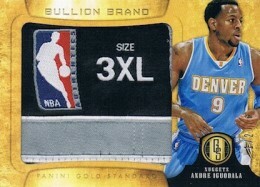 2012-13 Panini Gold Standard Basketball is upping the ante with one metal card now promised in every box. 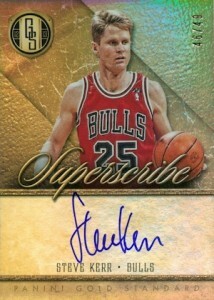 RICK � He has an exclusive autograph deal with Upper Deck. Best product for 2013. You get best value for this one. 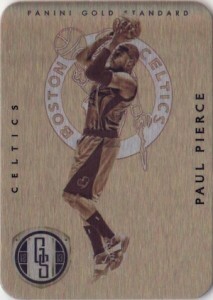 Hope Panini do more something like this rather than imitate other products. 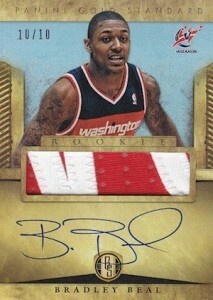 WHY IS THERE NO DERRICK ROSE AUTO??? Brandon � The redemptions aren’t rookie cards. But that line is blurred a lot now so it doesn’t really matter. They will likely hold some value but, like anything else, it will come down to what people decide. 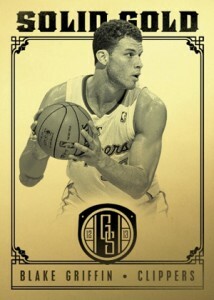 Brandon � If you like the card, $15 isn’t much of a risk in a worst-case scenario. For me, I try to focus on what I like first. 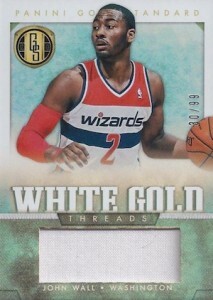 Personally, I like the look of a lot of Gold Standard. 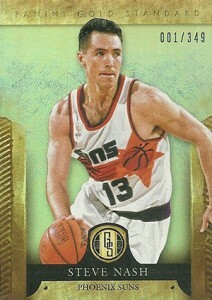 I just picked up a couple of Shane Larkin rookies from this year’s.